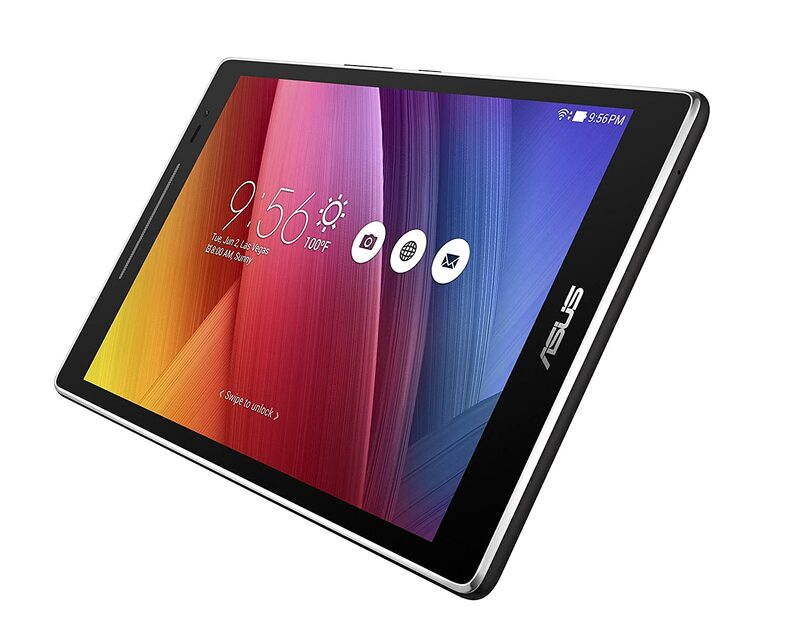 The dark gray ASUS 8" ZenPad 8.0 Z380M 16GB Tablet offers powerful performance in a sleek, fashion-inspired design. This tablet is powered by a MediaTek 1.3 GHz MT8163 quad-core processor and has 2GB of RAM. It features 16GB of built-in storage and is equipped with a microSD slot that supports microSDXC cards up to 128GB. For high-speed Internet connectivity, 802.11a/b/g/n Wi-Fi is on-board. Bluetooth 4.0 connectivity is integrated for wireless pairing with accessories, such as headphones and other Bluetooth-enabled devices. Miracast is also integrated into the tablet for wirelessly sharing content with compatible devices. 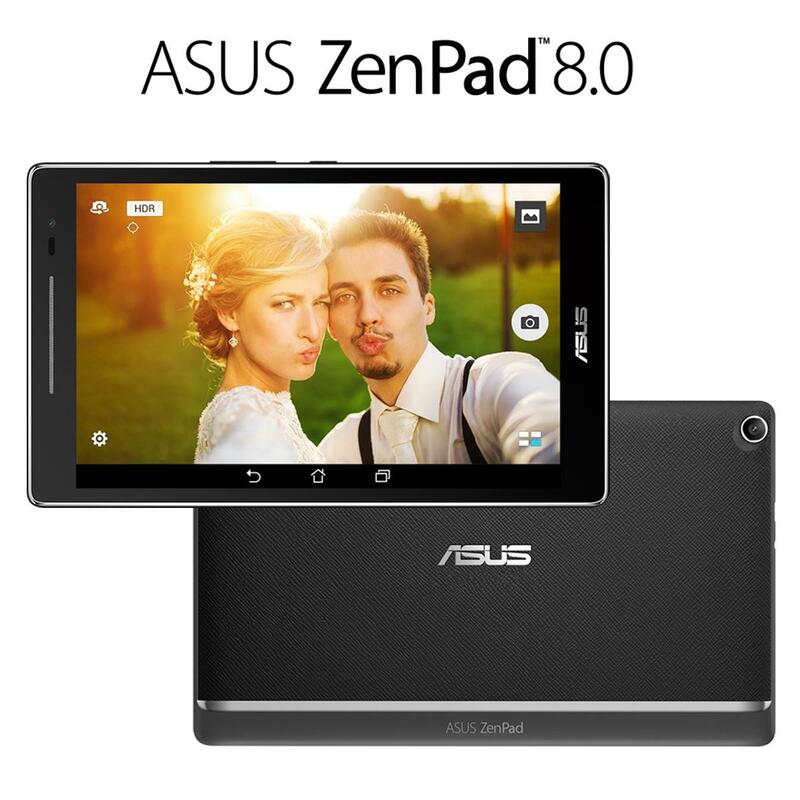 The ZenPad 8.0 Z380M has an 8" 10-point multi-touch IPS LCD display and features a WXGA 1280 x 800 native resolution for viewing detailed images. The front facing 2MP and rear-facing 5MP cameras allow you to take pictures of yourself and the world around you. The ZenPad 8.0 comes equipped with an embedded 4000mAh rechargeable battery that's designed to offer up to 8 hours of enjoyment before recharging is needed. The ZenPad 8.0 comes with the Android 6.0 Marshmallow operating system pre-installed, which is designed for fluid and intuitive multi-touch navigation and multi-tasking. The Android operating system integrates heavily with Google's services. Using the card-based Google Now, Android quickly surfaces information for you whenever you need it, powered by the same Knowledge Engine that runs Google's web search. It's a personalized and customizable OS, allowing you to add your favorite apps or widgets to your homescreen. You can even download new themes using the Google Play Store, which offers access to more than one million apps, games, books, music, movies, and more. Android 6.0 Marshmallow overhauls permissions, allowing you to have finer control over what your applications have access to. It also marks the debut of Now on Tap, a context-sensitive update to Google Now that checks your current screen for keywords and then searches for them automatically. Other performance and security enhancements are included as well. 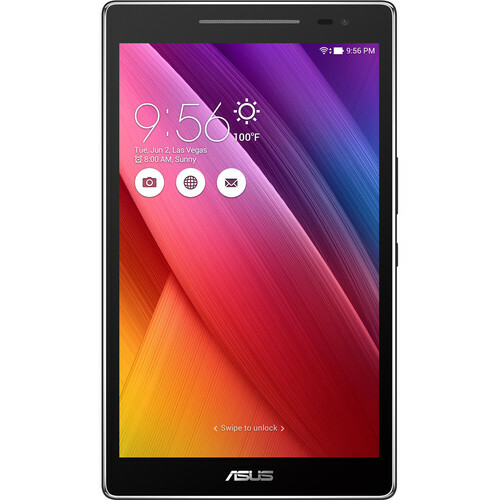 The design of ASUS ZenPad 8.0 carries modern influences and a simple, clean look that gives it a stylish appeal. These elements are inspired by ASUS's Zen design philosophy of balancing beauty and strength. ASUS ZenPad 8.0 is an 8-inch tablet with a 76.5% screen-to-body ratio, an achievement made possible by reducing the bezel width to the bare minimum. 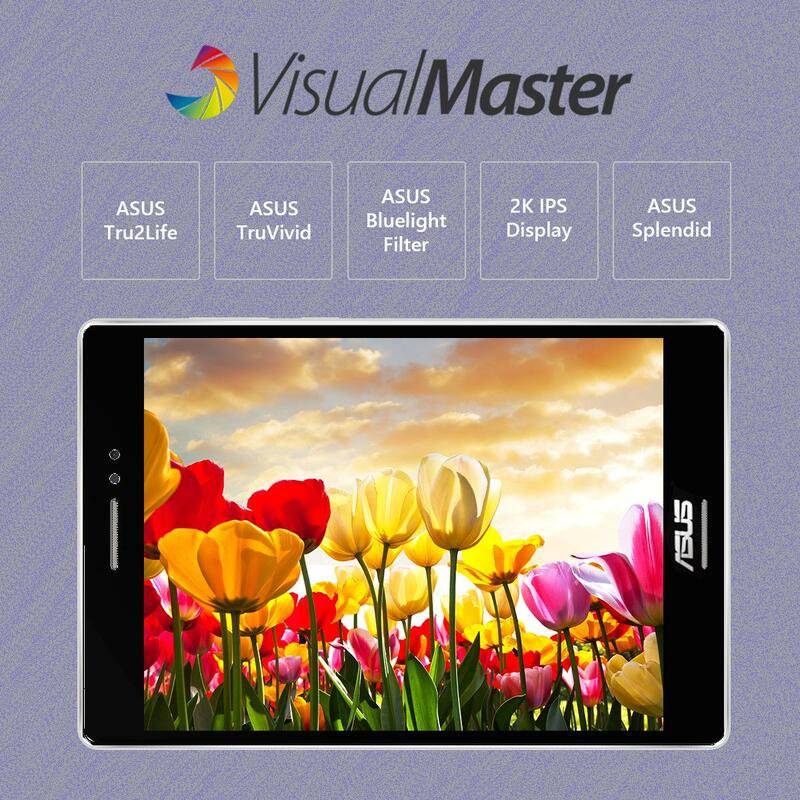 ASUS VisualMaster is a suite of exclusive visual enhancement technologies that combine hardware and software to optimize all aspects of the display, including color, clarity, and brightness. ASUS ZenPad 8.0 is powered by a MediaTek 8163 processor that delivers smooth, responsive performance and immersive entertainment experiences. The ZenUI offers a variety of features, including ZenMotion, SnapView, and ZenUI Instant Updates, that enhance usability, ensure privacy, and deliver a seamless user experience.